The elementary school occupies three levels of approximately the same size totaling 27, 429+/- SF. The building is heated by gas hot water heat. There is a 400-amp electrical service. The roof is a hot asphalt laid over with a flat composite type roof. The exterior is brick with aluminum windows. Interior specifications include an intercom system, fire, smoke and security alarm system. There is a 40 gallon gas hot water heater. 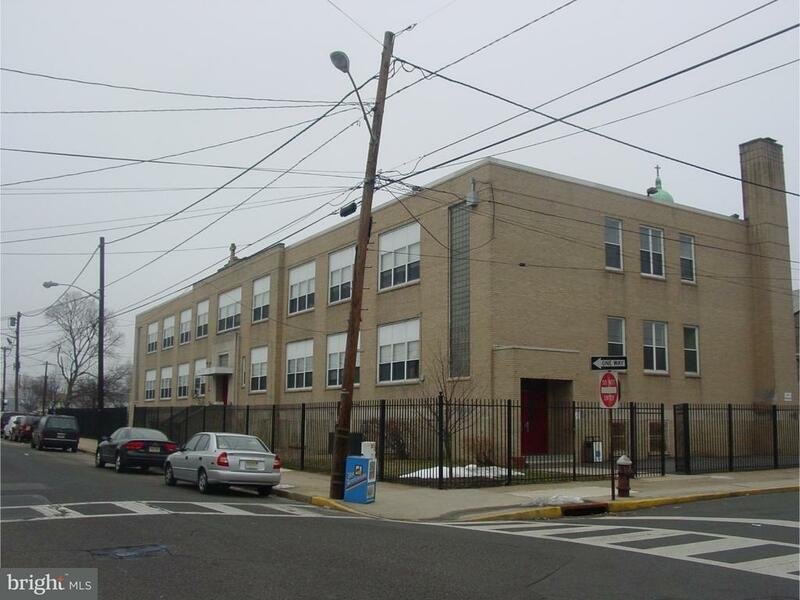 Lower Level: This level consisting of 9, 143 + SF, configures with a cafeteria, a kitchen, a mechanical/boiler room, office, three (3) large classrooms, janitors room and boys and girls restrooms. First Floor: The first floor consists of 9, 143+/- SF and configures with four (4) classrooms, a teachers lounge with a kitchenette, principals office, secretarial office, art room, nurses office and a boys and girls room. There are drop ceilings, masonry walls, terrazzo floors with some wall to wall carpeting. Second Floor The second floor consists of 9, 143+/- SF and consists of five (5) classrooms, a computer room, study room, and a boys and girls restroom. This well maintained facility is ideal for offices, medical and professional, catering or as a school. A rare find that can accommodate multiple uses. Ample parking and convenient location will make this facility attractive to any prospective Tenant. 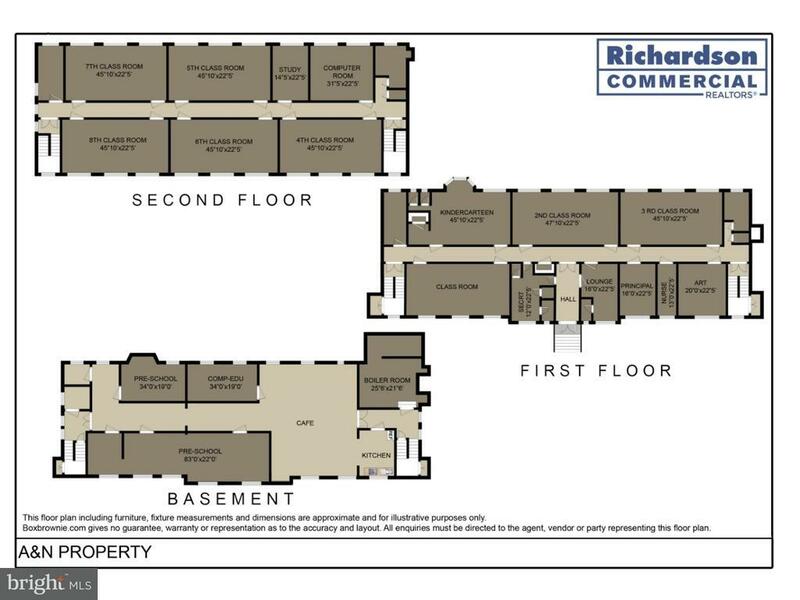 The lease will provide for shared usage of the leased premises.